Comment: Hello, I\'m looking to get an estimate for the installation of a backyard drainage system. There is a good amount of water pooling in the lawn, not sure what the root of the problem is. The address is 86 Codfish Hill Road in Bethel. Thank you in advance! Comment: We have damp in our basement and some hairline cracks which i believe is where the water is coming in. I would like the best option to sort this. Comment: We have a crawl space in our 1950's SMALL home (~750 sq feet). We would like to clean it up and improve drainage/sump pump. Comment: Need civil form for concrete formed foundation addition to install exterior stairwell and separate egress winsow well for basement renovation. 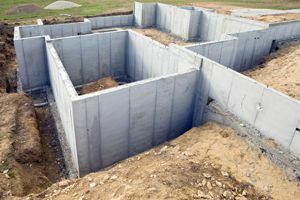 needs excavation of pits, cut window wells into existing concrete poured foundation, install onsite formed wells, and fix foundation drainage. Install bluestone foundation cap, safety iron railing, and brick facade on exposed concrete, fix foundation drain and pumping system, regrade and install storm water controls to site, regrade small portion of gravel driveway and retaining wall relocation. Install utility trends between home and detached garage for mechanical and electrical piping. Comment: New home construction. 2600 sq. Ft Ranch. Comment: 2 parallel cracks running diagonally up the foundation. 17 New Preston Hill Rd. Bethel Foundation Contractors are rated 4.78 out of 5 based on 362 reviews of 21 pros. Not Looking for Foundations Contractors in Bethel, CT?